Beginning on 5th March and running until 10th March, the Local Enterprise Office will be celebrating "Local Enterprise Week", with a range of different events for start-ups, aspiring entrepreneurs and small businesses in their area. 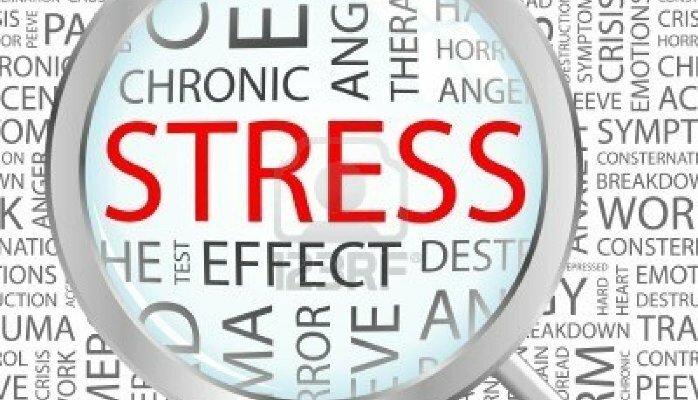 Work related stress is part of every working persons life, and is normal. So what is covered in this seminar I hear you ask! Looks interesting, don't you think? A little bit of information about the facilitator. Richard Burke, (MBA, PIIE,MIITD, MICHP), qualified as an Industrial Engineer in 1992, winning the national A.P. O' Reilly award for his paper in Industrial Psychology. Having held management roles in many multi-national businesses, he earned his Masters Degree in Business Administration in 2002. He then qualified as a trainer in 2007 with the I.I.T.D. Richard is also a registered and insured analytical hypno-psychotherapist with I.C.H.P. He has lectured in Waterford Institute of Technology at BSc level presenting a course called Organisations of the future. He has been a keynote speaker at the last 2 National Lean Enterprise conferences with his paper on how to manage organisation change and stress. He delivered a workshop at the 2001 HR summit in W.I.T. on the issue of work place stress. 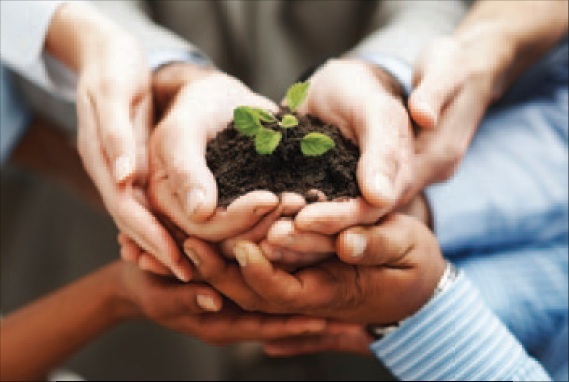 Richard's skill marries business and organisational development with psychological understanding. This unique insight is the reason why Richard's expertise is accessible and practical. The seminar takes place here in the Dungarvan Enterprise Centre on Tuesday 7th March from 11am to 1pm. There is no charge for this seminar, as it is being fully subsidised by Local Enterprise Office Waterford as part of Enterprise Week. The more you know about your potential customers, the more successful you will be developing meaningful relationships with them, i.e. build a detailed profile of your customer's needs, preferences and key characteristics. This is sometimes referred to as customer persona. Customers are more inclined to turn to search engines and social media to carry out their product research than to hard sells. As more businesses begin to acknowledge this, they have thought more about analytics that can inform a more effect approach. Customer analytics will provide you with a better understanding of your existing and potential customers' buying and living lifestyles. This will allow you to predict their future buying, streamline your targeting, and deliver marketing messages to customers most likely to respond. Because you will be delivering the right message to the right customers at the right time - you'll be maximizing customer loyalty and positive sentiment. 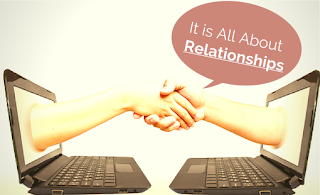 So Customer Analytics are an essential first step to securing a relationships. Step two. Email is the single most powerful channel you can use to communicate with and engage customers. If a customer has agreed to giving you their email address, they are at this stage aware of your brand and willing to receive correspondence from you. If you send your customers personalised emails, you have the opportunity to show your brand's investment in their unique needs and interests. If they have been spending time on a product page, you can follow up with more information on that product. Keep in contact with them! Tailor your emails, use your personalised marketing emails to provide valuable, informative and authentic content. Show you care - then you will reap the benefits. We are all aware at this stage that Social media is increasingly, the preferred way for communicating and connecting. Some businesses though make the mistake of thinking that they can use it solely for building brand visibility and extending their audience. This however is not the case, the moment you establish an online presence with your customer, it is up to you then to look after your customer! How do you do this? By responding to queries as soon as possible and sending a "human touch" along with your communications. No one wants to wait an age for a response or even worse for no response whatsoever, especially if it is a dissatisfied customer! Implement a system that will allow you to prioritise your customers communications, the more you can do to promote a positive social customer experience, the more likely it is that your customer will recommend your business to others - step three! Regardless of what type of business you are in / audience you a targeting, content marketing is a top performing retention tool and at the same time strengthens your customer relationships due to its personalised nature. Once again you can use analytics to send emails to customers tailored to their individual personas based on their preferences and their previous buying behaviour. If your customer hasn't opened your emails in a while or be it purchased anything for sometime, you can use incentives such as a special offer, a competition, etc to entice them. (Remember to state this in your subject line!). And finally, the best way to develop positive customer relationships and loyalty, it to reward your customer. You can do this by sending them a gift or including them in exclusive deals, points towards a purchase, etc. Small but thoughtful gestures will keep your customers coming back for more. If you would like to read the article in full, simple click on the link here. A la Carte training programme begins. Lets face it, no matter what kind of business you are in, you can be sure that all your customers are using Social Media. As you are aware it is hard to keep on top of Social Media whilst running your business. So knowing how to master your Social Media will give you a great opportunity to get involved with your customers online, build relationships, encourage loyalty and generate referrals. The Local Enterprise Office is now giving you the opportunity to enhance your Social Media skills and grow your business with this Mastering Social Media Programme. Building a social media skills programme tailored to YOUR needs. Finally, you will work with your coach to identify your individual training needs and tailor an 'A la Carte' programme that's specific to your requirements. And who's delivering the programme? The programme will be delivered by Nuala Browne and Grainne Barrett both from Meraki Marketing. Nuala has over 20 years' experience in Retail Management & Marketing, whilst Grainne's expertise is in Digital Marketing and is an excellent creator of social media content. Their assistance will enable you to meticulously look at your business and identify core attributes, your customer's persona and then build a solid digital and traditional strategy around it. Meraki Marketing provides the planning of a strategy and the execution of a campaign that connects YOU with your customer in a meaningful way. Their goal is to achieve maximum commercial success for clients. Nuala says "We develop successful conversations that influence every stage of your customer's journey and get the results you need." That is what we all want to hear I think! To be a top performer today, you as a salesperson need to know more and know it at a higher level of competency than ever before. What makes this more challenging is that your customer expectations are a moving target. What your customer expected five years ago versus today presents a dramatic contrast. equip you with all the tools so as you can close that all important sale. What a great opportunity to excel. Local business woman, Colette Bannon launched the Workcoach brand in 2009. Since then she has provided business training and coaching to businesses, schools, and organisations throughout Ireland and the UK. Her long list of clients includes Sky Ireland & UK, GSK, Bank of Ireland and LIDL. Colette says "Success is almost impossible in any field, without solid sales skills. However, selling is a skill and like any other skill, it can be developed and nurtured with the right focus. This course is designed to help you perfect this all important skill". As I already mentioned, the programme commences on Wednesday 1st February 2017 at 10am and runs every Wednesday thereafter. As this programme is tailored around your needs, you can pick and choose which module suits you best. It is €30 per module or €140 for the entire programme. To find out more about this unique a la carte programme you can log onto www.localenterprise.ie/waterford or call us here in the Enterprise Centre on 058 23598. Do you have an idea for a business and want to know how to take it to the next level? 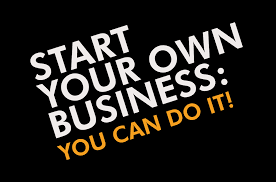 Have you just started a new business but need to know more about the many aspects about running the business, i.e. bookkeeping,market research, sales and marketing? This programme will provide you with the skills, management tools and expertise in making the right decisions, planning and organising effectively. 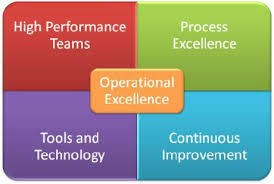 It will assist you in what is required in order to keep your new venture running efficiently and effectively. How is the course made up? The course runs over 7 consecutive weeks (two days each week from 10:00 am to 1:00 pm), here in the Dungarvan Enterprise Centre. As I already mentioned the course commences on Tuesday 18th October at 10:am here in the Dungarvan Enterprise Centre. The course fee is €130 and payment confirms a place on the course. To book your place, please log on to www.localenterprise.ie/waterford. If you are in receipt of Social Welfare payment you may qualify for a reduced fee, please call 0761 10 2905 or email info@leo.waterfordcouncil.ie Looking forward to seeing you on the day. Social media is a fantastic way of reaching your customers. Creating quality social media content is an even better way to develop a greater relationship with your customers. By making a few adjustments to how you create, publish, and post your content, you can increase the likelihood that others will share it more often. Being able to write compelling and engaging content on a consistent basis over time is the core. In this workshop, we will show you how to create draft blogs and social media posts, and draw up a plan to help you develop that content further in the long term. So what's involved the workshop? The workshop will be based on the 5 W's of good Social Media content. Where - which blogging and social media platforms are the best fit for your business? 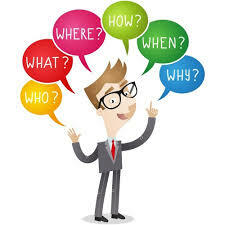 From this you will then come up with a content plan based on your questions. 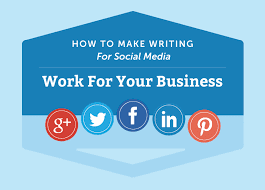 Then in the second half of the workshop, you will write a draft blog entry, and if time allows, a batch of five social media posts. Sounds interesting doesn't it. A little bit of info about your tutor. Dearbhile Graham is a writer and editor based in the sunny south east of Tramore, Co. Waterford. She holds a Masters in Journalism, is a former Toastmaster and is also the author of the novel, "The Pink Cage". In 2009, she set up a copywriting service for small businesses called WriteWords Editorial, which aims to help businesses tell their stories. She has written blog posts for Congratulations.ie, Market Lane Restaurant, The Virtual Office and nearForm. She is an experienced workshop facilitator and has delivered content creation workshops for Tipperary Enterprise Board and Dungarvan Women in Business Group. As mentioned earlier, the workshop takes place here in the Dungarvan Enterprise Centre on Tuesday 20th September from 9.30 am to 1 pm. The cost of the workshop is just €30 per person. For more information, or to book your place, please call us here at the Dungarvan Enterprise Centre on 058 23598 or email dungarvanec@gmail.com. Its the way forward, its the future. Your customers are watching a ton of social video. Facebook and Snapchat have both surpassed 8 billion video views and YouTube's 1 billion-plus users are watching hundreds of millions of hours of online video every day. At the moment 18 to 33 year olds are spending less time in front of their TVs and more time watching video on their mobile devices and laptops. So in the next 5 to 10 years, these same people will make up a large percentage of the workforce, making it hard to ignore video platforms. 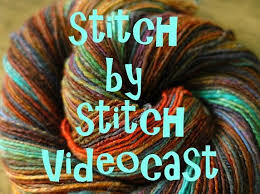 Video is unique in its ability to connect with viewers. Social networks favour video in their algorithms, knowing that this rich content is favoured by users. You can respond to a customer enquiry by text or you can take a few minutes and record them a 30-second video message (they'll appreciate the extra effort). A 2016 survey found that 61 percent of businesses are using video as a marketing tool. 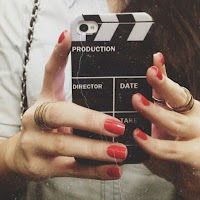 In the previous year, 66 percent of those businesses were not using video at all. To me, its clear that companies are quickly recognising the growing power of video. I don't think I need to go on! Your return on investment of social video depends on how you choose to use it. Every business will have different targets and goals. The key thing is that you actually set goals and track the success of your videos using analytics. It's only through tracking that you will learn what clicks with your audience and what doesn't, allowing you to refine your social video strategy. And just in case you are still not convinced, Mark Zuckerburg (co-founder of Facebook - you knew that!) believes video is the future of Facebook. He imagines a time, 5 years from now when video will account for the majority of posts shared and viewed (best to be prepared, I think)! I hear you ask who's delivering the workshop? Amanda Webb of Spiderworking.com. Amanda formed Spiderworking.com to work with SME's, local and small businesses to help them develop social media strategies, offering them training and support. Whatever you need to know, whether its as simple as setting up a Facebook page or as challenging as putting together a social media campaign, Spiderworking.com can help. Amanda learnt her skills whilst promoting her first business, Feelgood Organic Hampers. Prior to this she worked as an Assistant Director in the Irish Film Business working on productions such as Adam & Paul and Angela's Ashes. In 2010 she co-founded the KLCK bloggers Network in order to encourage and support both business and personal bloggers as they learnt how to use both blogging and social media tools. In 2011 she went one step further with Bloggers International co-managing their inaugural event. Then in 2012 Amanda founded Blog Awards Ireland along with her KLCK colleagues and head up the online marketing and project management of the event. 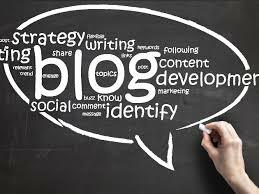 Amanda's blog reached the final of Social Media Examiners International top 10 Social Media Blogs of 2011 and 2012. The Social Media Awards 2012 and her Video Blog reached the finals of the Irish Web Awards 2010. I think she is someone we would all like to meet!! The workshop takes place on Wednesday 14th September from 9.30 am to 1 pm. The cost is just €40 per person. For more information, or to book your place, please give us a call here at the Dungarvan Enterprise Centre on 058 23598 or email dungarvanec@gmail.com. Looking forward to seeing you!